Pawpaw is one fruit that is very popular in Nigeria. It is often called a wonder fruit because of the various health benefits it has. It contains various phytochemicals which plays an important role in human health, and also enzymes that are very good for our digestive systems. 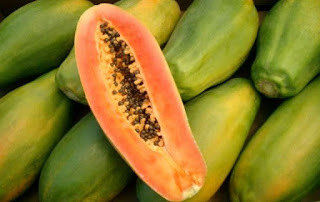 The botanical name of pawpaw is Carica papaya and it belongs to the family called Asimina triloba. The pawpaw is also known as papaya in most parts of the world. It was previously an exotic and rare fruit, but now it is readily available at most times and season of the year. In Nigeria, popular is a well known fruit especially in the rural areas and villages. There is hardly a compound in the village that does not have one or more pawpaw tree in its environment. In the cities and urban areas of Nigeria, most people prefer going for other fruits like apples, oranges, pineapples etc, and only few people do buy pawpaw only when they feel like. After you might finished reading this post and realising the amazing benefits this fruit has to our health, i am very sure most of you will have a second thought concerning the way you have been neglecting this wonder fruit for some time now. The possible health benefits derived from consuming pawpaw includes; a reduced risk of diabetes, heart disease, cancer, improving blood glucose control in diabetes patients, aiding in digestion, improving wound healing and lowering blood pressure etc. The pawpaw is also a good source of fibre which helps in bringing down cholesterol levels. Most people prefer eating pawpaw as a dessert (a confection serve as the last course of a meal, or a confection eating after a meal) , but the best time to eat pawpaw is before a meal. The main reason for this is that, if it is eaten after a meal, the body converts the fruit into sugar. But if it is eaten before a meal, the system absorbs all the nutrition. The seeds of pawpaw are also medicinal and it has its own benefits to our health, of which we shall be looking at them in the future. Talking about the health benefits of pawpaw, let us look in details at 7 amazing ways in which pawpaw benefits our health. The wish of every human is to have a healthy and smooth skin, because it speaks a lot about you and is serves as a point of attraction. If someone's skin appears unhealthy and rough, it is definitely a turn off. In most cases, an unhealthy and rough skin is caused by poor eating habits and a faulty digestive system. Inadequate supply of nutrition and the accumulation of harmful toxins in the body are the main cause of a dull skin appearance. The best and common solution for all these skin disorders in pawpaw. If you want to maintain a healthy skin, simply apply the pulp of pawpaw on your skin, and also be eating it regularly. Most beauty care professionals, normally recommend pawpaw for skin care. Apart from using pawpaw for a glowing skin, you can also use it for skin whitening as well, if you notice that your skin is turning dark as a result of overexposure to sun rays. Another health benefits of pawpaw is in the management of diabetes. Pawpaw consumption is highly recommended by doctors to diabetics, because of its ability to lower blood sugar levels. Diabetes mellitus is an ailment that is caused by decreased production of insulin ( a hormone that converts excess glucose to glycogen) or the body resistance to the hormone, leading to accumulation of excess sugar in the blood. The benefits of pawpaw to diabetics could be as a result of its low sugar content and high fibre and mineral content. Pawpaw leaves is also administered to diabetes patients. You can soak the leaves of pawpaw in water, strain the extract, and drink it three times in a day to reduce your blood sugar level. An antioxidant called zeaxanthin is been found in pawpaw. This antioxidant filters out harmful blue light rays and it is known to play a major role in the protection of our eyes health and possibly ward off damage from muscular degeneration. The possibility of developing asthma is very low in people who consume a high amount of certain nutrients. One of these nutrient is beta-carotene, and it is found in foods like pawpaw, pumpkin, carrots etc. So, a regular consumption of pawpaw reduces the risk of asthma. A unique enzyme in pawpaw, referred to as papain, has a considerable positive effect on the human digestive system and it can also be used as a meal tenderizer. The immune system serves a s a shield that guards us against various forms of infections that wants to make us fall sick. Consuming a single pawpaw can fulfil more than 200% of our daily requirement of vitamin C, making it a proper boost to our immune system. The choline is a very important and versatile nutrient that is found in pawpaw. It assists our bodies in sleep, muscle movement, learning and memory. The choline also helps in maintaining the structure of our cellular membranes, aids in the transmission of nerve impulses, assists in the absorption of fat and reduces chronic inflammation.